Get out your cameras (or smart phones), the inaugural edition of The Maghreb Photography Awards is now open for entries. An initiative which celebrates photography in North Africa, it has been set up by the street and art-documentary photographer Souhayl A. It’s part of his plan to support and reward young photographers capturing life in Morocco, Mauritania, Algeria, Tunisia, Libya and Egypt. 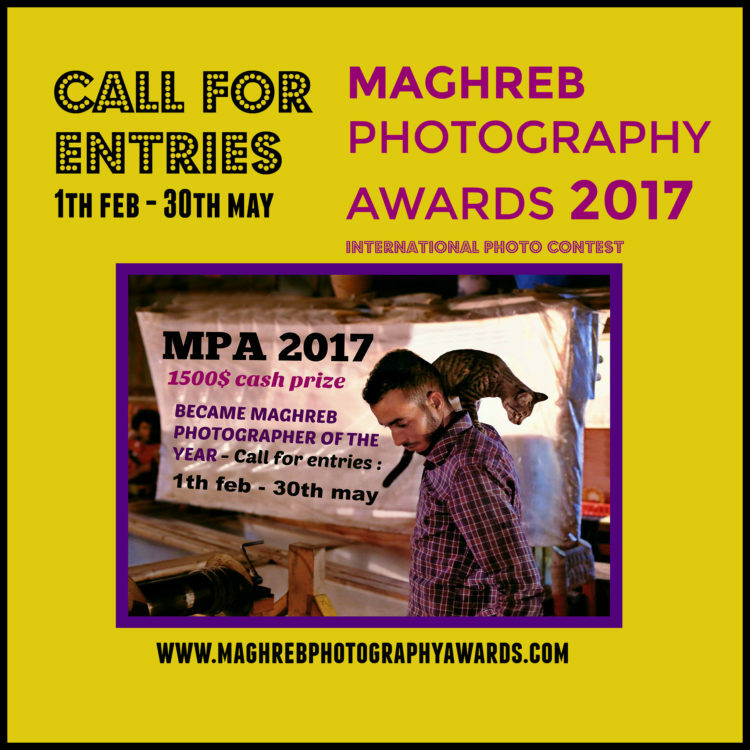 The Moroccan founder of the prize is an experienced photographer; he has had work featured in the respected photography magazine LensCulture and won lots of competitions himself – at PARIS PHOTO, MIFA Moscow and the LensCulture Street Photography awards. He decided to set up the prize to take advantage of ‘the democratisation’ of photography that’s happened in the last ten years. There are seven categories: editorial, architecture, travel, documentary, fine art, nature and people. The competition is open to everyone, whether you make a living from your photos or if you’re a passionate amateur. There is an entry fee ranging from 10 euros to 25 for a series. The judges who’ll be looking at your work are impressive – you can have a look at them here. There are cash prizes and winners will be exhibited at photo festivals in Essaouira, Montélimar, and Pierrevert.